Elise Hameau created her same-named label in 2012 in Paris. Her first dress that she designed for a friend, was quickly followed by a debut Haute Couture collection. 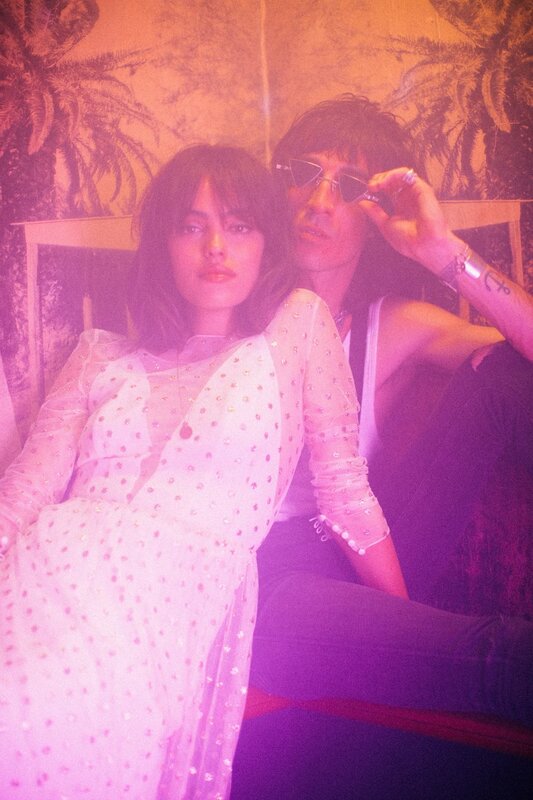 The French designer’s style is inspired by 70's singers, and so is the 2019 collection "Toute La Vie": Sassy and urban meets vintage rock accents. Flocked silk georgette and handmade embroideries in gold, silk crepe and tulle are the high quality products that have been used for this special collection. 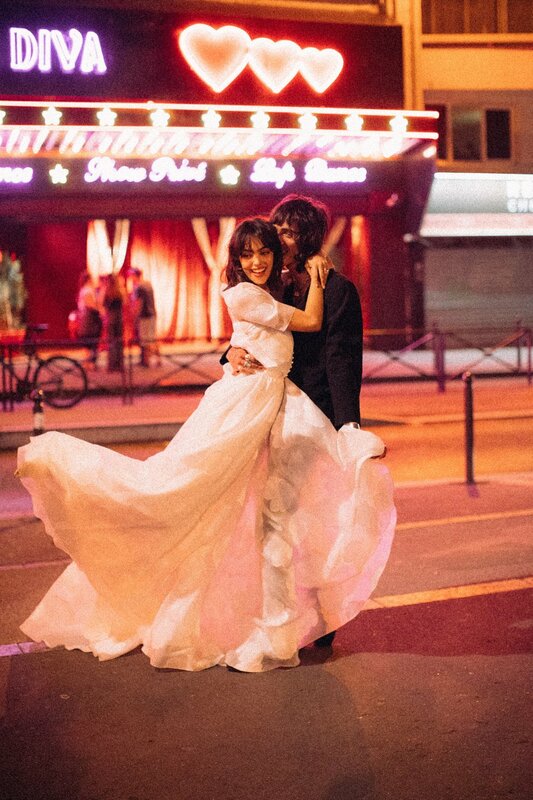 Within the campaign imagery, a couple celebrates their love under the neon lights of Pigalle. In addition to her wedding dress collection, she also has a ready-to-wear line with t-shirts and bomber jackets with mesmerizing messages… We have absolutely fallen in LOVE with her uniqueness and beautiful designs! This issue we had the opportunity to talk with the bridal designer in this exclusive interview. We can’t wait for you to discover where she gets her inspiration from, what made her want to become a fashion designer in the first place, as well as facts about her personal style and what she thinks will be on trend next season…. I got my very first sewing machine at age 8. I was so excited that I never stopped dreaming about becoming a fashion designer! Today I am more than happy that I was actually able to realize that dream. I wanted to make young girls dream about their wedding day in a special way. Moreover, I wanted to be able to work with beautiful, unique materials and to promote the manufacturing label "Made in France" within the bridal sector. quite urban and simplistic. I love huge cities such as Paris, London, New York - all those urban styles inspire me a lot. besides creating my own bridal brands, it’s definitely the arrival of my little twins that are now 14 months old. I love them dearly and I am so glad to be able to being a working mother. are more fitted silhouettes and beautiful, very varied necklines. literally anything! I am referring to things such as exhibitions, a movie, a flea market, a book etc. and especially the street! Street styles, especially in Paris, gives you a lot of daily unexpected inspiration. a collection for wedding guests and different collaborations with other brands. high quality, elegance and relaxation, because the fit is what counts: I want the bride to feel comfortable in her dress on her big day. There is no sense in feeling itchy or not being able to breathe because the dress doesn’t fit well. they are very comfortable and light. Simplistic, but unique as they always tell a story, just like "Toute La Vie". Thanks to the exceptional materials, the fits are always amazing and when I see the brides, they always appear to feel fantastic in their wedding dress.